Marsh, one of the ‘Queens of Crime’ in the 1920s and 1930s, died just weeks after submitting her 32nd detective novel, Light thickens, to her publishers. She was also an artist, playwright, actor and director. After suffering a major heart attack in June 1980, Marsh was largely confined to her house in Valley Rd, Cashmere, Christchurch. Here she continued revising her 1966 autobiography; it was republished in 1981. She also began what was to be her final novel, which like all its predecessors featured British detective Roderick Alleyn. On 7 January 1982 she sent the novel off to her British and American agents, respectively Pat Cork and Dorothy Olding. Both had reservations about its quality, but on 3 February Olding cabled Marsh with the news that it had been accepted by Boston publishers Little, Brown and Company. Marsh was still anxiously awaiting news from British publishers Collins when she died from a brain haemorrhage two weeks later. Unfairly perhaps, Dame Ngaio was always the slightly junior partner in the dual monarchy of Christie and Marsh. Certainly, Dame Agatha was the more ingenious maker of plots, but Dame Ngaio was always the better writer. Marsh had made arrangements for her own funeral, asking the Reverend Simon Acland to conduct the service at Christchurch Cathedral. The service on 24 February was broadcast on national radio. Despite this, and fog preventing out-of-town friends attending, the Cathedral was packed. Later a small group took her ashes to be buried in the graveyard of the Church of the Holy Innocents at Mt Peel Station, Canterbury. Collins did accept Light thickens and, following substantial revisions, it was published in September 1982 to ‘excellent reviews and record sales’. 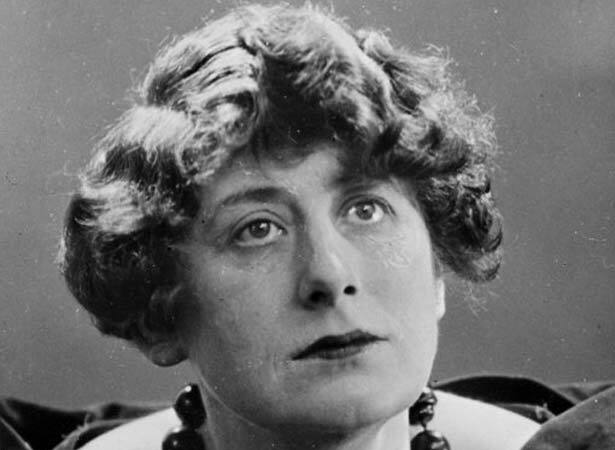 We have 5 biographies, 3 articles, related to 'Queen of Crime' Ngaio Marsh dies.